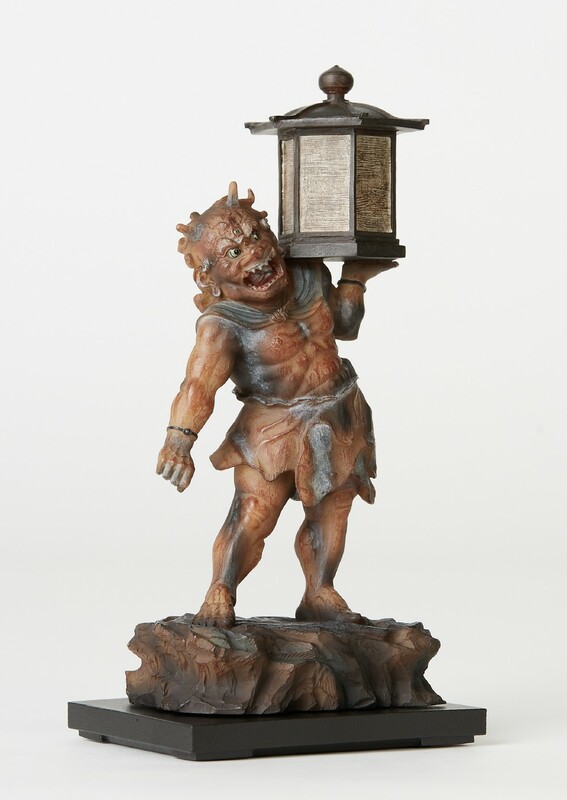 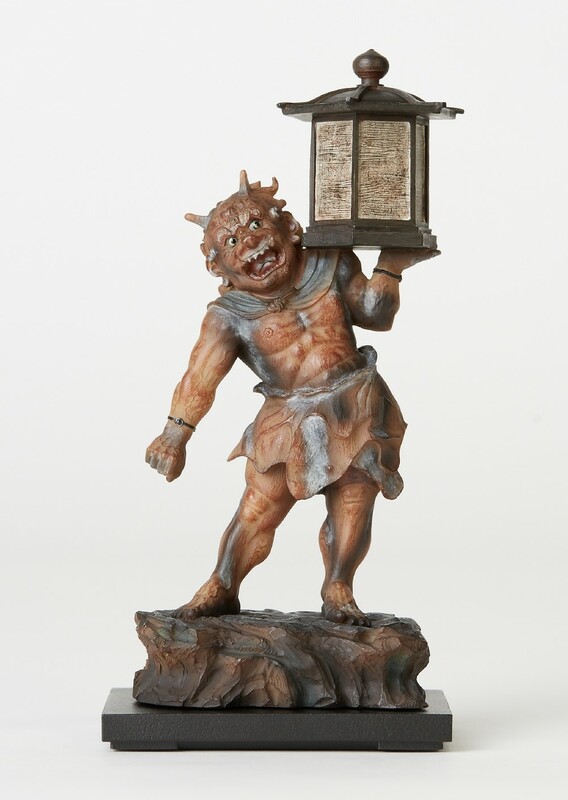 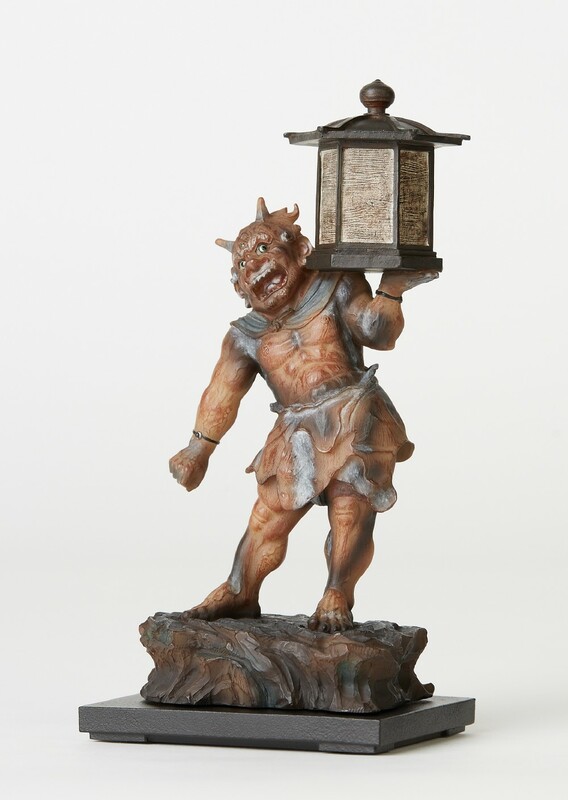 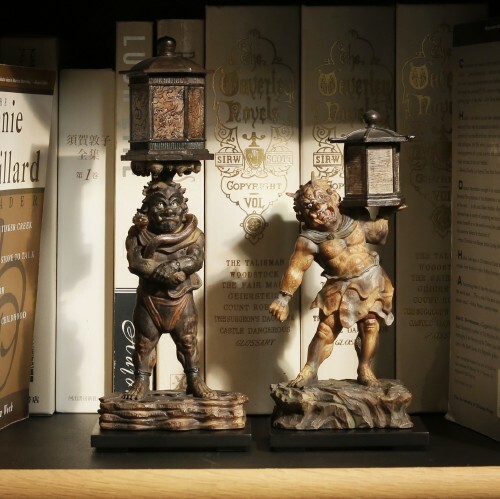 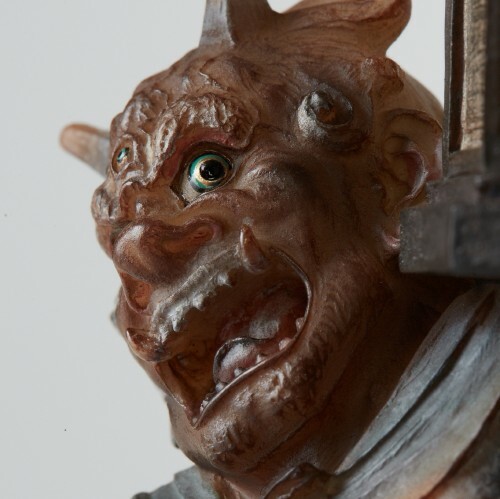 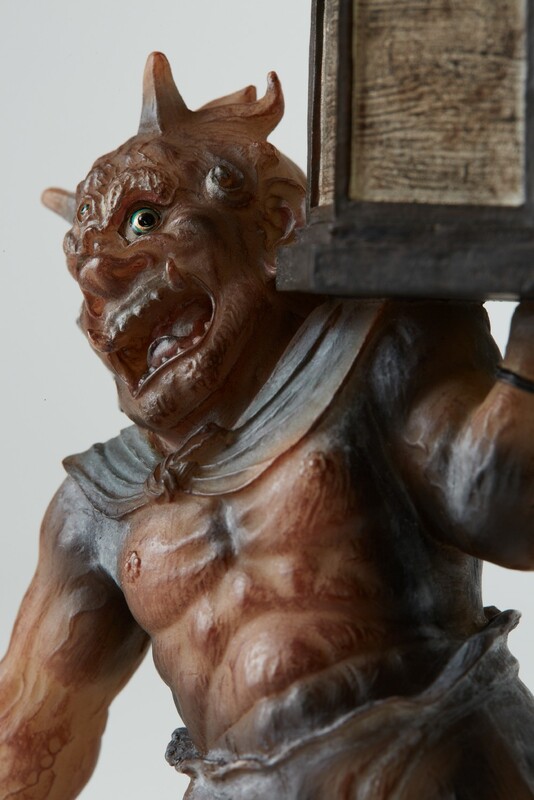 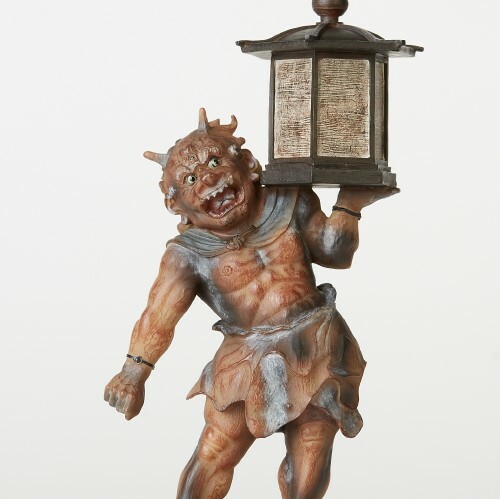 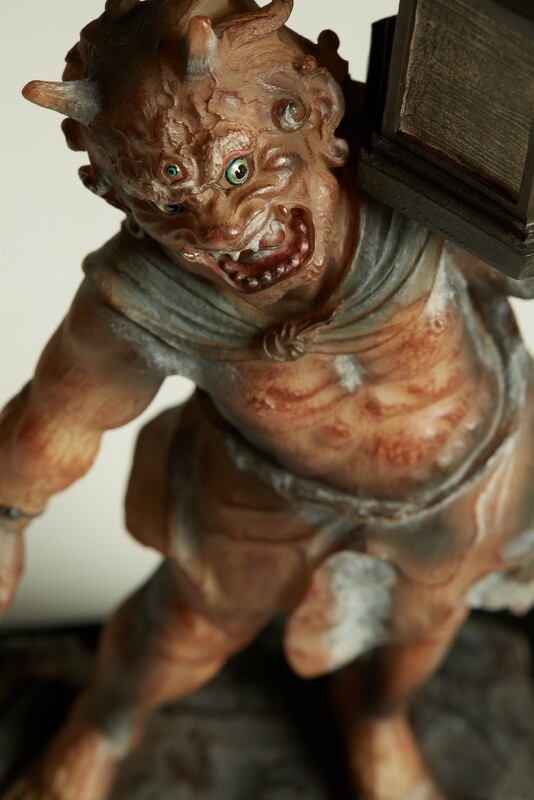 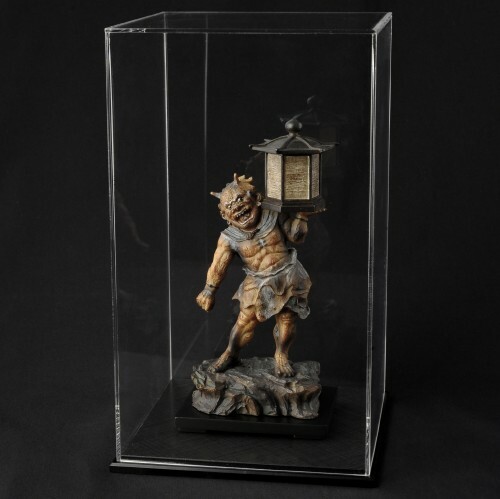 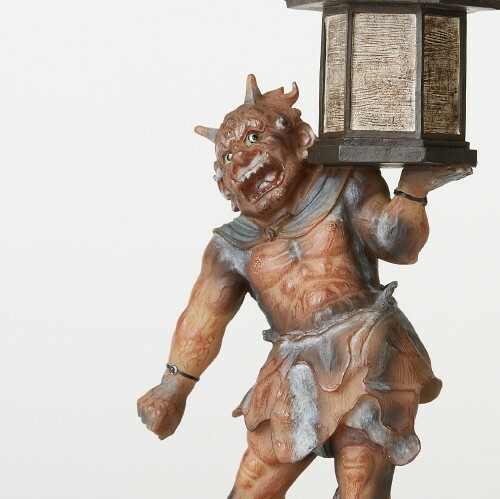 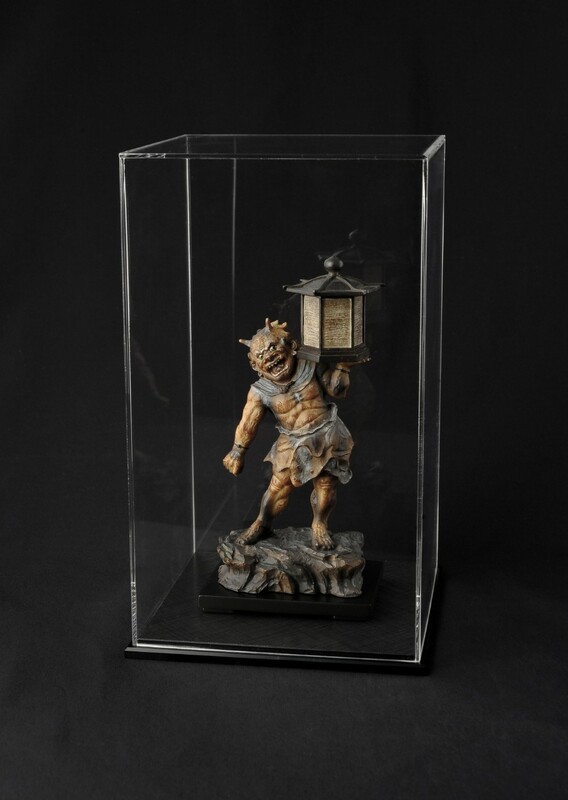 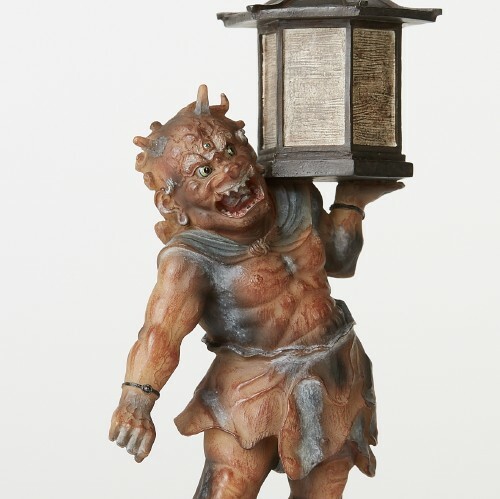 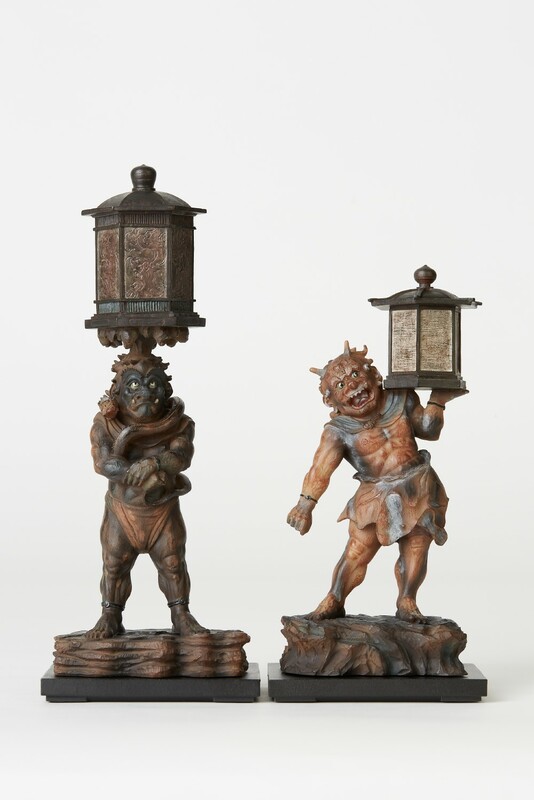 This pair of Oni (ogre), normally evil demons, paid a penance and took refuge in the Buddha to be given the role of holding a pair of lanterns. 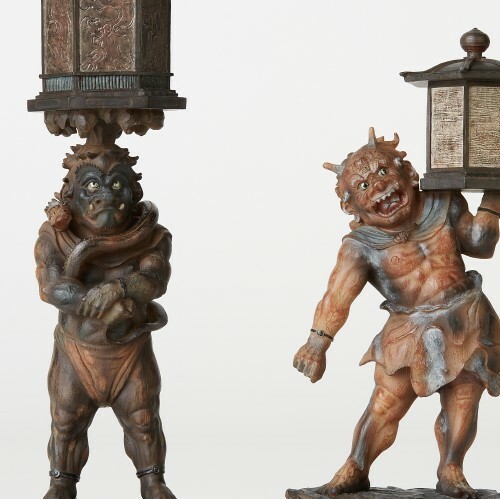 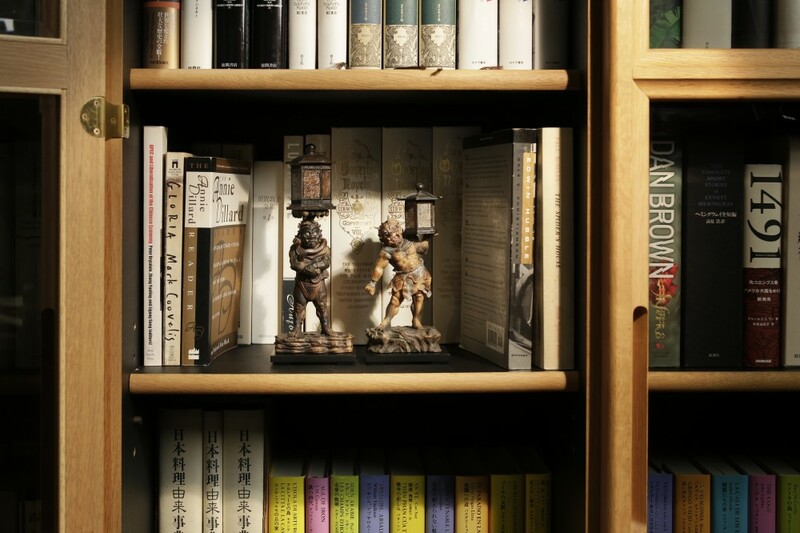 Similar to Kongo Rrikishi (Deva King) statues, the pair consists of the “a”and “un” forms. 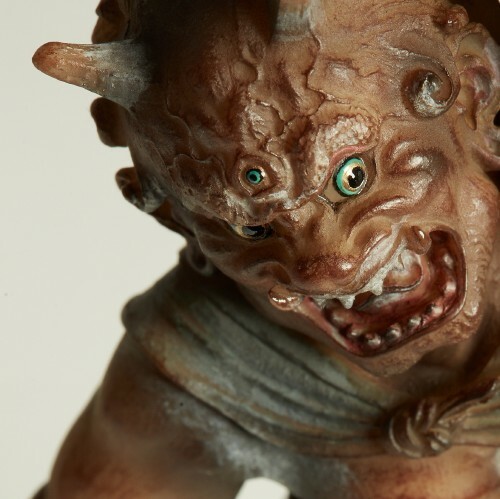 These humorous statues are masterpieces of realistic and dynamic compositions.